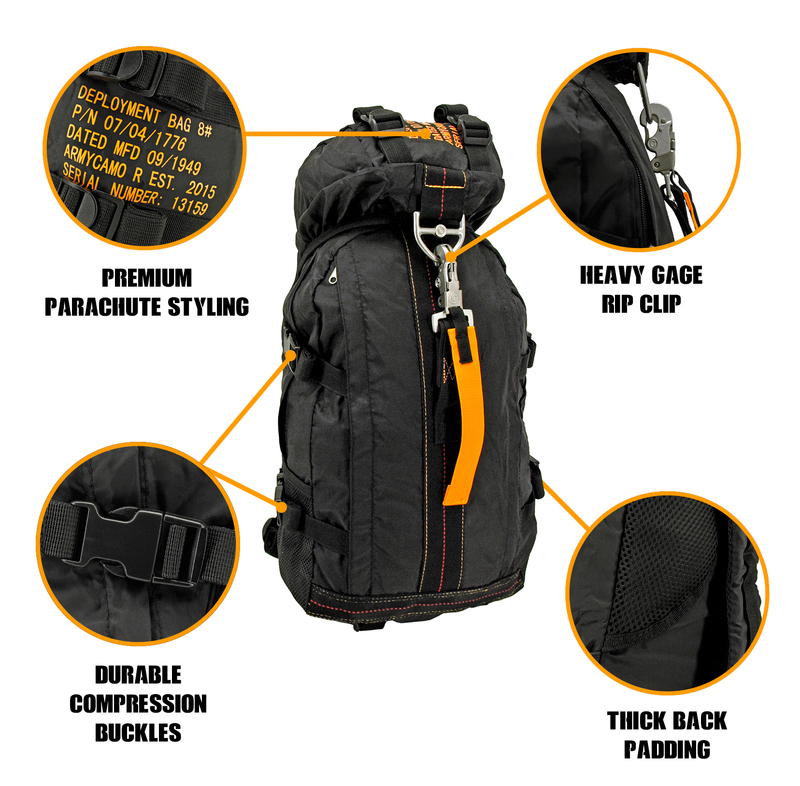 Take off with the Flight Parachute Backpack, modeled after the look and feel of a real parachute. Made of O.D. nylon parachute fabric, these bags have a heavy duty metal quick release strap that allows you get into your bag with the with the pull of a cord. Top and side adjustable straps allow you to add a blanket or sleeping bag. Inside pockets and slots keeps your gear organized. Zippered side and top pockets along with padded adjustable shoulder straps finish off the look and feel of gliding through clouds. (L x W x H) 19.25" x 13.00" x 1.75"